"Rapid deployment and fully featured"
Good software doesn't need a manual. This is actually the case with Freshservice. Especially if you compare it to other IT Servicedesk solutions. Especially the speed and ease of implementing is remarkeable. The service desk of Fresh is also very responsive and cooperative. The solutions is highly recomendable for organisations that start from zero. You can start easy and gradually build up. We are mostly using is for following up internal ICT tickets. "Best ticketing system I've used"
I like the ease in which you can reply to people and include others in responses. It's extremely easy to do any task you need to do within a ticket management system. I love the Freshchat support, on the rare occasion we have an issue or query we get an immediate response. The tickets and queues work really well, I love how user can just email the support address and it will automatically log a ticket. I've worked at many companies and used many ticketing systems and this one just does all of the little things the others don't. I don't necessarily dislike it but I feel the asset management portion could do with a bit of a rehaul, and perhaps even have integration with something like SCCM implemented. It's all a very manual process of assigning assets and it would be easier if you could just change the user it was assigned to and then it then records an audit log of this. Currently I manually have to go in, change the asset assignment, location, add a note to say what ticket it is related to, change the last audit date, last assigned date etc. If you're looking for a service desk tool for your organisation this is easily the best one. I've used Supportworks, Landesk, MindIT amongst others and this far exceeds them. Having a cloud based ticketing system has been amazing, users can log tickets from anywhere and access our service portal. We also use the reporting tools within to identify trends and problems with our IT Infrastructure which has helped us improve our service. We also use this as an asset management tool to track our devices, a definite upgrade from using an MS Access database. "Very useful tool for IT operations management"
It's very useful for many sorts of things. The thing that we primarily use it for would be for ticketing management. In this regard it's very good because you can filter by user, requester, agents, departments, date, etc which allows you to be able to efficiently know which tickets need to be done at what time and who is submitting them. I really enjoy the ease of use for the product as new people who join the company is able to catch on to using this service very quickly as well. I would say that sometimes there are issues when it comes to connectors. Currently, we have a connector set up with Salesforce which is not working properly. 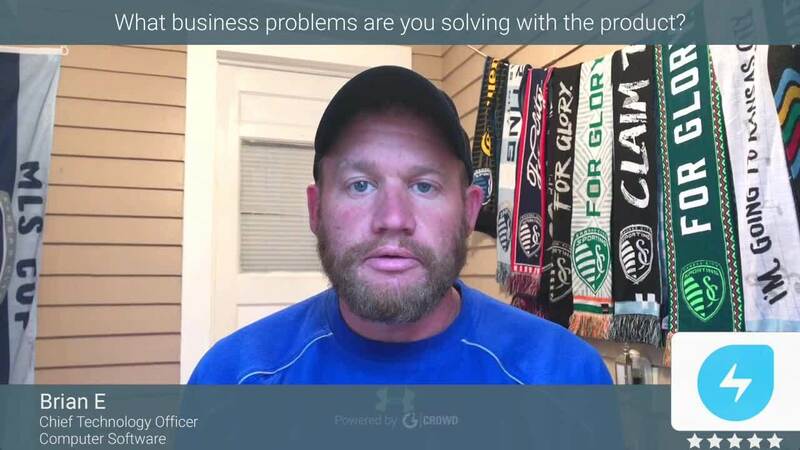 We reached out to the support and they stated that the connector for Salesforce is currently not working so they are working on getting that resolved. Since salesforce is a large part of our team it does make things more difficult without the connector. Use it if you need all of the components, such as ticket services, asset tracking, etc and not just for one component, as they all tie in very well together. We use Freshservice for many things. To name a few: ticket management, asset tracking, reporting, change management. We use it primarily for our IT operations team as our foundational platform, and then have other applications such as Jira and Salesforce that are synced with Freshservice. "Easy to Admin! Support team is Always Helpful!" When I attended the Fresh Service Summit in 2018, I found I was one of the few that were not in the IT profession. As a project manager, I was quickly able to pick up how to Navigate and Admin to build our fresh desk out for many different kinds of groups. Fresh Service support is always so quick to respond. There are wish list items that are sometimes still in development but the support staff strives to think outside the box and are honest about current abilities. I wish there was a quick way to see new developments in quick videos. I find the videos really helpful and would love to see a series of "Did you know that Fresh Service Can do this?". I find we often use applications within Fresh Service in unique ways and if I was provided tips, it could really help our internal team use fresh service to its full potential. Transparency, Tracking and One roof where all of our corporate team can work together to support our requestors. "An amazing IT Service Desk Experience"
I like that I have one place for my Helpdesk Emails, Assets, Requesters, Contracts/POs. Previously having a helpdesk email and ticketing system seperate is horrible with keeping up on ticket creation. Now all my tickets are created and tracked automatically. I don't really have anything I dislike exactly. I wish i had more customization for the self service portal, but its because we are at a lower tier of subscription. Try out the demo and you will fall in love. I really have found the product to be amazing and the new integrations coming out all the time make it that much better. I'm solving being a great IT Service Desk and providing a great face for IT to the business. The benefits I realized are the ease of use and how easy it has made my job with one easy to use tool. "Freshservice was the IT Service Desk solution we didn't know we needed." Freshservice moved us into this century with our Help Desk ticketing system. Not only did it move us past our old, broken way of doing things, it provided us with features and solutions that we didn't even know we needed. It has increased our efficiency way beyond what we anticipated. It makes issues and their solutions so much easier to find, and pass on to the client seamlessly. Occasionally the disconnect that happens from the client when assigning the ticket to an agent/technician creates confusion as the client replies to us, but it goes to the technician...or the technician replies to us (as they get it in an email, but in fact we don't receive it back in an obvious way since we are no longer assigned the ticket and Freshervice just puts it as part of the conversation in the existing ticket that we no longer see unless we go looking for it or 'watch' it. It's a minor issue. Try it. You'll like it. Like any new software, there is a learning curve, but it's very small compared to other, similar software. Well worth the investment. It has been a game-changer for us. Our technicians communication with the client has increased in clarity and expediency by a large magnitude. Our ability to track and fix issues has also increased exponentially. The easy Solutions area makes communicating a much speedier proposition, and time is saved to move on to new issues or tasks. It has organized our process to an amazing degree. "FreshService is a great ticketing system." The design and the abilities of the portal are nice. They're constantly improving. Any issues you find can be and will be fixed if you report it to their support. You can also suggest features to them, on which they will be happy to consider and implement if they see it fit for their platform. Their automated reporting tool is absolutely fantastic, you can pull a lot of data about your agents/groups with extreme ease. Maybe not all of their guides are up to date, but they're keen to resolve that issue if you reach out to them. Asset management is still limited and could be improved to allow better hiring process to take place. FreshService is easy to use and they are constantly improving along with having a great design. It's straight forward, so I'd recommend doing even a trial run on it to see how you like it. Their in-house App store is also great, it allows you to integrate several supporting tools,reporting tools, chatting tools, calendar and meeting tools into your every day life with FreshService. I was hired when we were migrated from a different platform, but FreshService for me seems much more intuitive than the ticketing systems I've used in the past at my previous companies. Benefits are that the platform is easy to use, and our users are liking it. FreshService's business scaleability for each business need is great. "A User of Many Helpdesk systems"
This is by far the most intuitive helpdesk system I've used. Many systems are very clunky and lack the flexibility to adapt to company requirements. Very easy to change parts of the system to suit our needs. Very simple to use and with an App that gives you the same functionality as if you were using it in the browser. Great for field engineers which most systems lack. There isn't really a lot to dislike about this product. It works straight out of the box and we're forever building up on what we have to offer more services such as the service catalog to our users. Certainly give it a try, the trial is free and gives you full functionality to try it out. Can use it straight out of the box with no setup. We had our field engineer go straight ahead and start testing directly form iOS devices to. We're a very small IT team dealing with all types of issues across the UK. Whether it be projects, new installations or simple technical faults. The benefits are that our users are able to see the updates and log tickets directly into the system which provides better reporting to management. "Fantastic Service Without Hard work"
The simplicity of setup and go is nice. It takes no effort to provide the basic services needed and gives room to grow without question. Definitely less expensive than other options without losing functionality. some functionality is price locked but the ones that are really wanted can be significantly more. Fantastic product especially for the price. Consider the Growth potential as well as the Roadmap in store. not to mention the Features that are requested. Helpdesk Support with incident and Service Requests is the primary reason we purchased this SaaS. Its Simpler and does more work than our previous Service by leaps and bounds. Being able to Round Robin tickets as well as Decrease ticket flow due to extra emails from cced people has been Extremely beneficial. I like the range of filtering options available for viewing tickets, which are very powerful. I also like the integrations supported, including SSO with Google and Jamf Pro for asset management. It's hard to maintain multiple conversations in a single thread - for example a conversation with an end user about a broken device, and a separate but related conversation with the vendor about a replacement - since the reply button forces the reply goes to the person who logged the ticket. While you can use the forward button, this doesn't maintain a consistent track of the email chain, so replies, etc. get cut out and the conversation can be disjointed. We use Fresh Service for tickets and change management primarily and will soon begin using it for asset management. "Web, Easy to use, but cloud be more "Integrationbly""
1) We need an CMDB highly integrated with AWS, Azure and GCP and easily to read, manage. Today, AWS integration exists but all the information about IaaS resources are difficult to read it and manage because doesn't integrated with company and contacts data. 2) The customer satisfaction module cloud be more flexible. We need to send personalizated questions. I don't know the costs of this service, because I am an admin user, but FS is easy to use and it's a Cloud Service!!! Nearly continuous stream of *useful* updates. GUI is well laid out and intuitive. Helpdesk/Knowledge Base is fantastic. We also use asset probes to ensure all hardware assets are tracked and software assets can be traced from there accurately and without user intervention. The highlight is the customizable Portal for end users to access information such as Tips, Configuration standards and to check the status of their own tickets. Even if users only want to use email to contact the help desk this is not an issue. Not too much to dislike. Workflow automation is being updated and was the weakest point when we implemented a year ago. Would like to have more 3rd party apps integrated, such as Connectwise, but that is all being worked on. With any software make sure it fits your business needs. It is flexible enough to meet most, if not all requirements, for an internal help desk, HR, etc... just take the time to do it right when implementing. Freshservice offers a lot of integration assistance without extra charges, you just need to take advantage of the very good service levels that are offered. If you invest very little time into the product, you will not get a lot out of it. Single point of information flow for both Admins and users. Time savings have been considerable for time invested. Information retention and organization is a challenge for most organizations, Freshservice allows us to retain and track information seamlessly and it is all searchable. All of it! I love that Freshservice allows me to keep my day productive letting me know what problems are out there and listing the inportance of each. I also like the asset program allowing me to keep track of computers and technology in the field and when it was placed.The assets tracker gives me a very good indication of what is about to need upgrades based on time and operating system installed. Also give my employer a rough Idea where the biggest amount of help is needed for billing purposes and let the IT team no where to focus the most attention. I like the break down of technology items and the state they are in letting me know what has been retired so I know to keep an eye on other systems of the same kind. As of this moment I have no dislikes of the product. If I could make a suggestion I notice that the phone app no has a close section for tickets but not a resolved button available would love to see that again. Just do it the program is straight forward and simple to use making your teams more efficient. Also traacking of all of your technology install dates and warranty so you know when to replace items of age. We have organised a very small team of IT people to take care of hundreds of users over a large geographic area. We are using this system to keep track of replacement needs on a set basis so we have far fewer failures of systems. "Great Product and easy to use!" Thats is good question, right now I can not think of anything that I dislike so far, especially since they are constantly adding improvemnts to the software to make it better by adding new tools, features, and enhancements. Take a good look at it, it has many options and features to help customize it to your own business needs, they are also constantly adding improvements and this will not break your pocket book. Setup was a breeze to get our users into the system and we started migrating users to it very rapidly. Time and energy, Freshservice helps us resolved requests much faster and easier than ever before. Reporting on user tickets and resolutions is a nice improvement that gives us a good overall look at how busy our helpdesk staff are in the past or even the current day or week. "Best option for the Out of the Box ITSM Suite"
User Interface as well as the features in the system. They have boiled down to the essentials but without cutting any corners. The strength is that you cannot mess things up with customization from 3rd party consultants etc who always seems to be involved in ITSM implementation. The change of tool is more a change of way of working and not so much how to categorize tickets and defining the right priority. The only thing I dislike is the reporting on Service Level, you can do reports on incidents on assets but not as deep as I would like it to. It can be handled with integrations and a upcoming BI solution though. It is almost impossible to mess things up with this product. I often say it is the IPhone to the other ITSM tools Android. You cannot mess up the setup as with an Iphone, sliders for on-off and easy to configure discovery and inventory. Make sure your AD is updated before synchronizing users, not Freshservice specific though. "Exceptionally Great product even at the Sprout (Free) Plan"
Freshservice's Sprout plan is a MAJOR help to my small business as I'm still in the very early stages of building my business and clientele. I needed a feature-packed ticketing system that would give me all of the ticketing system tools I needed to bootstrap my IT support business. Having access to 3rd party tools via App Integrations is also a huge help to streamlining my workflows so I can spend more time working for my clients instead of having to fuss around with "processes/workflows". The biggest benefit I see is long-term, as my business grows, I'll be able to get the additional features that a larger organization will need without having to 'jump ship' to another software platform. I'll be able to just bump up the licensing plan. I really wish that Freshservice's Sprout offering had built in time-tracking, I know that the next license plan includes that feature and many more, but I'm currently unable to pay for the licensing at this time. I can also see that if Freshservice's team enabled time-tracking in Sprout a lot of small businesses might not have a need to purchase the first paid license plan. Which is unfortunate as the team behind Freshservice definitely deserves something for this awesome software, and Thank you for providing a free tier option in the first place! 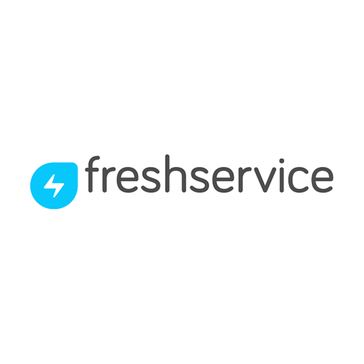 If you're in the market for a great ticketing system with tons of out-of-the-box features and the ability to add more with a few mouse clicks; definitely give Freshservice a spin. You can test out about 85% of the features that are "core/necessary" to/for any production ready ticketing system for free. There is an optional trial that you can use to work with the remaining 15% of the "core" features Freshservice's free plan doesn't support. I have used quite a few other major ticketing systems that are out there when I was working for other IT companies. Some software's include: Service Desk Plus, Kaseya, Connectwise, Spiceworks help desk, Atera, Salesforce, & Jira Cloud. I think that Freshservice nails it by offering the best features-to-price ratio. The core benefit for my use case is that I need a ticketing system for my business, Freshservice offers the best one (IMO) that starts free and scales to meet business needs. "Awesome piece of software that is extremely easy to use." The automated reporting is very helpful when presenting board reports. The speed of the emails that users and technicians use for notifications are exceptional. There isn't any delays. The iOS app is brilliant. It is fast and easy to use. I love the pop-up notifications each time a user or a tech makes a change or replies to a ticket. This is extremely useful for keepin track of tickets on the go. I have not come across anything to dislike thus far. The software is easy to use and the user do not experience any difficulties logging requests through either the portal or via email. If you are migrating from either another software vendor or from a different plan fro example, fresh service to freshdesk, always engage the freshservice support team. They are friendly and will be more than willing to assist with data migrations. I am streamlining the ticket logging with regard to IT Support and capturing the company's inventory. I am also changing the way that the IT department is being billed by the various business units by creating a charge back for IT incidents resolved by techs. "Excellent Helpdesk to Get Set Up On"
A great little service desk. Freshservice is mostly focused on IT based work, but has been found to expand into other areas of technical industry that it's sister product Freshdesk might not cover. It's straightforward to use and through version upgrades seems to have gone from strength to strength to improve the brreadth and depth of what it can cover. Whilst limited as a free customer (understandable) there is a fairly reasonable amount of access you have that, without going to the trouble of setting up and hosting your own service desk, is available to you instantly from signup, and moreso when a plan is upgraded to a higher tier. For a sizable team working in the IT Industry or similar, I would definitely recommend giving Freshservice a good try, and not to be afraid to ask for help from the friendly customer support team if you have any specific requirements. Difficulty in adding custom fields to work with other integrated services (such as Slack) as a free customer to the helpdesk. Whilst integrations work really well on the Service desk there is a limited amount that the custom ticket fields will allow you to do outside of the system. The solution could also benefit better with a sliding scale business plan, similar to how Slack prices it's use - based on measuring real-time use month to month of users in a workspace (or in this case Agents in an organisation) and charging based on that rather than fixed rates. Definitely worth a try. Depending on your industry it's worth considering sister products Freshdesk and Freshsales to see if they may fit you better. If this suits your industry consider extending your trial to the free plan in an isolated team and work your way up to full scale use as people realise how easy to use and powerful this tool can be. Allowing our Educational Technology Services to log problems the same way many departments such as IT or Estates and Facilities would in an organisation. Using the Solutions page we can also answer frequently asked questions or repeated tickets reported from service users. Also allows us easily to track progress of jobs between technicians easily and communicate to our staff any measures that are put in place. "Freshservice is a qualtiy product"
Freshservice has been the product needed to help organize our IT department. The CMDB, relationships, asset management, and change management have fortified our service and structured us in such a way to be successful. The only thing that has been inconvenient is the assets tracking where you pay by item. There are no alerts to let you know when you are getting close to your allotment and need to add additional licensing. Try out the trial and setup according to how you might use the product. Fresh service's support and sales reps are very helpful and accommodating. The CMDB and relationship options have been great benefits for organizing our documentation and making sure our technicians know how our systems, services, and customers are all connected. The newly added project management is a nice feature. We are intrigued how that module may continue to grow in the future. "A fairly new user's experience so far"
The mobile app is convenient, especially now that support helped me figure out how to use custom views to see just the tickets with a certain tag. It is easy to set up views on the web, and I like keeping a browser window open on half of my secondary display. Some features are not intuitive, like how replying via email to tickets works. I did some testing regarding this, and it turns out different affects are applied to the ticket (e.g. adding a private note, posting as a reply, etc.) depending on who is replying via email. I suppose it would make more sense if I read the documentation, but I love services that are easy enough to use that it's usually unnecessary. It meets my overall expectations of what a service desk platform ought to be. It provides the necessary tools for us in IT to be effective and efficient at what we do. If you want to see tickets with a specific tag on the app, be sure to set up a custom view in the web version, save it, and then you should be able to select it in the app. It took me contacting support to learn that, but I was happy once I tried it and found it works great. We're tracking coworkers' tech issues, keeping records on our asset inventory, and building a knowledge base of articles for our organization. The feature set supports these needs rather well. "Freshservice is powerful, economical and easy to use"
Our Freshservice HD platform gives our customers the means to quickly alert our IT team to problems without having them get bogged down in the red tape of processes and procedures. The FS front end is pliable, simple and effective. It allows us to focus our energies on finding patterns in today's data and then act proactively to prevent tomorrow's problems. Very few things are not likable. It's a simple platform, easy to manage, the reporting has improved greatly in the last few versions. I don't dislike any part of it. We have three people on our IT team and we satisfy the needs of 360 end users (customers). It's not easy and sometimes the work is more of an avalanche than a steady stream.. but Freshservice gives us the ability to coordinate our efforts and keep our focus on the delivery of satisfying solutions. ""Freshservice: The IT Service Desk Solution Feature-rich and intuitive."" Adaptable to your business. Straightforward information section boards for the clients. Simple to monitor tickets with perspectives so you can see only your tickets, or your gatherings tickets. Acceleration process that is worked in works incredible for getting endorsements for spend ahead of time. Has streamlined our endeavors immensely. Having Freshservice as our helpdesk and stock framework has been a major improvement and simple to use by our IT staff and the end clients themselves. I discover we regularly use applications inside Fresh Service in novel ways and whenever furnished with more tips(quick recordings), it could truly enable our inward group to utilize new support of its maximum capacity. The product keeps us sorted out in our IT bolster rolls and causes us meet our destinations. The announcing is helpful for detailing measurements to upper administration. Freshservice takes care of the issue of distinguishing where in the process my group is stuck in an unfortunate situation tickets. My group can arrange and compare with clients in a simple and helpful way. Our client support team correspondence with the customer has expanded in lucidity and practicality by a substantial size additionally our capacity to track and fix issues has likewise expanded exponentially. "Great Tool for Service Operation Management within reach of your pocket"
The workflow automator on Freshservice is really Great!!! All the integrations that you can have!! Analitics and Service Catalog Module is very usefull in our operations!! The time that we have to wait to sincronize the reports upgrade by plan and I would like that Freshservice can integrate with whatapps or instagram/telegram to create tickets. Freshservice has a fresh, clean, modern look to it. It's highly customizable and provides plenty of depth, particularly with it's various automation tools. Any time I've had to use their support, they have been super responsive and great to work with. They're constantly improving their product and it's not uncommon to see little tweaks here or there as your doing your work which is great. I've only come across a few minor things I didn't really care for, most of which you could argue are personal preference. My biggest want would be to be able to filter my ticket view specifically for non-resolved tickets that haven't been attributed to a particular category, or to maybe have their category be able to show up in the general ticket view so we could tell at a glance if there seems to be an active trend taking place. Definitely consider giving them a trial run at the very least. We're glad we went with them! Freshservice has been great for us in allowing us to not only manage IT tickets, but also to pull in SCADA, Facilities, and HR teams so we can collaborate and kick tickets between departments as necessary, particularly for ordering hardware/software and for onboarding/offboarding personnel. It gives us the flexibility we need while still maintaining strong delineations between the departments to ensure confidentiality. "A great online tool with a lot of potential." The company can have all the requested tasks in one place, and you can make reports of them. Also, they have a tool that make easier having information available for anyone called ¨Knowledge Base¨. There needs to be a way to make reports from the projects (individuals or in group) that are made in the platform. More tools to measure the projects and all the information in the platform, like weekly and monthly reports. If you want all your information in one place or you don't want to have a lot of mails with the same requests, this is your solution. Having all the requested tasks in, form of tickets, in one place. It should have a native Remote Suport feature. It should have more technical Documentation in Spanish. Don´t hesitate to try Freshservice if you are looking for an ITSM and ITIL oriented Service Desk. It will help you to discover all assets in your network and send a report. You can pay 1 agent or 100 agents, you can add them or delete them whenever you want, You can easily change your plan, and suscribe for 1 month or 1 year. Now it´s easier to manage my IT incidents, by email or Self-service portal. "Easy to setup, Easy to use, Easy to Tailor"
For instance we cant remove the Department field from the INC form fields. the biggest benefit, at least to how we work, is the automaters, this allows us to remove unnecessary steps, for instance we can make certain service requests go to specific people, or incidents with certain keywords go to someone who is good at that specific thing. I like the whole setup of the website. It's easy to add people and show them what to do, most of it is self-explanatory. It's easy to give support to who creates cases, who needs help from an IT-employee at our schools. The support that is accessible with FreshService is great, you get help within a day or less. The tutorial could be better when you first create your account. Something I also realized was the default language on the website, and whoever creates and account on the website. (This might just be me not seeing how to, but I've looked for it and didn't find it.) Some groups and roles are also locked and not removable. FreshService provides you with a trial for a month to test it out for yourself, wether or not you think it's good. Personally it's great and I've gotten good service. We, in an IT-service "center" at a school which has two large sections, haven't used any service website or program. I did research on the website on school, and our teacher told us to use it. I started to really like it, and I showed it to my collegues, and here we are. "A Solid Help Desk Solution for a Modern IT World"
The interface is very user-friendly and it is usually very easy to find what we are looking for. They also offer a full API which we have been able to utilize to make custom ticket submitting apps and other custom interactions. The majority of support cases that I have opened with them have been responded to very quickly and often resolved the same day. Another item which I have been happy with is the automation. The ability to categorize and assign tickets without every having to touch them because of set rules has been a major time-saver. They are extremely slow to adapt and make changes based on the customer community. I have seen many topic in their suggestion box go ignored for a very long time, and these are often features that are found on their competitors and that the community feels is something of a given in what should be included in a help desk software suite. I do believe that this product is worth the money. The price is right and the features that matter are all there. It is my impression that Freshservice will continue to advance in the right direction and further improve their product down the road. We were using a very antiquated BMC Track-it! which had some nice features of it's own, but was a stone-age desktop application that was seldom updated and poorly organized. The old system often resulted in forgotten tickets, bad categorization, and inconsistent responses. With Freshservice we have been able to provide a much higher level of customer satisfaction and uniformity in our responses. The automation has allowed us to streamline many of our processes which has allowed us to focus on other areas in our organization. "Easy to use ITSM Suite"
I adore that Freshservice enables me to keep my day beneficial telling me what issues are out there and posting the inportance of each. I additionally like the benefit program enabling me to monitor PCs and innovation in the field and when it was placed.The resources tracker gives me a decent sign of what is going to require overhauls dependent on time and working framework introduced. Additionally give my boss a harsh Idea where the greatest measure of assistance is required for charging purposes and let the IT group no where to concentrate. I like the separate of innovation things and the state they are in telling me what has been resigned so I know to watch out for different frameworks of a similar kind. I can do an account of occurrences on resources yet not as profound as I might want it to. It tends to be dealt with combinations and an up and coming BI arrangement however. Do what needs to be done the program is straight forward and easy to utilize making your groups progressively effective. Likewise traacking of the majority of your innovation introduce dates and guarantee so you realize when to supplant things of age. We have sorted out a little group of IT individuals to deal with several clients over an extensive geographic territory. We are utilizing this framework to monitor substitution needs on a set premise so we have far less disappointments of frameworks. "Freshservice - Full Featured, Easy To Implement & Use"
ITIL/ITSM based and rapid implementation are the key features that we like. The user interface is well organized around ITIL methodologies. The ITIL flow of Incidents to Problems to Changes is very useful. There really isn't anything to dislike. The Project Management module links to Incidents, Problems and Changes as needed, however there is no ability to import work breakdown structure (WBS) into a project. WBS import would be helpful for projects that are drafted in Excel. Develop the desired IT service support workflow and requirements before selecting a help/service desk product. Then select Freshservice, conduct a 30-60 day trial pilot and when finalizing the decision, negotiate pricing terms. We are deploying Freshservice for 520 users at 6 locations in the U.S. and it will be used as the primary IT service desk tool. Some ITIL/ITSM products require consultants and over US$ 100,000 in implementation fees. One of the main benefits of Freshservice is that it can be implemented for Incident, Problem and Change Management without expensive consultants. I really appreciate the inclusive design of the system. Having the ability to use one ITSM system for ticketing, change control, asset management, procurement and user life-cycle is a big win for us. It simplifies our workflow, eases reporting needs and standardizes the customer experience. I am not the biggest fan of some of the user interface navigation. If I filter a result set, and then drill down to item specifically, returning back to my filtered set is more cumbersome than I would prefer. I would like to be able to disable or modify some of the standard fields as well. Do your homework and identify what the needs of your organization are in advance. Prioritize which Fresh Modules are most critical to your success and iterate through them. Set achievable implementation milestones and employ an iterative plan. We are always looking to delight our customers and provide the best customer service experience possible. Employing tools that enable our technicians and are intuitive for our customers are paramount in achieving this objective. We wanted self service, a robust service catalog, API extensibility in a unified platform, and FreshService has delivered that for us. "The new UI is outstanding"
As a consultant, it's my job to find the best solutions for our customers. One of the best options out there for ITSM implementation is Freshservice. The simplicity is one of a kind. The platform is very user-friendly and intuitive, that means easy to setup and manage it. Complied by ITIL standards, Freshservice provides problem, release, change, incident, project management and beyond. I like the new UI, it's very refreshing compares to the old one. It should have compatibility and native integration with SAP tools. Also, the inventory management should indicate in/out assets.for the different facilities. Other than that, it seems fair to say that this solution is one of the best. It's an aggressive competitor within the ITSM platforms in our current market. Highly recommended. Freshservice even though is a an ITSM solution, it can work as a help desk platform providing support for multiple clients and inner users within the organization. Responses from the support team are quick to my multiple questions with prompt answers and resolutions being provided. Freshservice itself is easy to use from both the app and within a web browser. There are a number of admin features which I have utilised which ensures our users have a better user experience. The ability to link with Google is a very useful feature for us. Nothing, at this moment in time I have no complaints. I would like to see additional functionality such as the ability to automate an option within a drop down on the form fields. We are planning on adding a new drop down on the form field just for agents however, this field will be mandatory only for the IT department. At the moment I'm trying to automate this so for the departments who will not use this drop down will automatically be selected as no. I would recommend that others utilise the admin features to reduce the administration time where possible. Things such as the dispatch'r should be used wherever possible as this automation allows me, who manages to tickets to focus on resolving tickets which allows the business to operate. We use Freshservice for multiple departments such as IT, Payroll and HR. We can communicate quickly with our users. This gives us the ability for multiple agents to view tickets across departments when required. Due to how robust the software is we are planning on adding additional departments. "Test Period Questions To FreshService"
In our company we are started to create a Service Desk. But whats is the most important thing in the servicedesk... The Tooling!! After some research and googleing... We found Fresh Service. Inside our departmet we spoke about the search results and Fresh Service Became project. During the test period we had some quistions about the functinality and customalisation. We send an e-mail to the account manager, within a day we received an answer from the account manager and 1 hour later a specialist with extra information. We answered the quistions from them and they to us. All this mail communication was within 2 hours. GREAT RESPONSE TIME!!! What do I dislike? I have to fill this in but i don't have it at this moment. FreshService is runing as the main Service Desk application. During the next couple of weeks we are planning to migrate the test FreshService the production. "Our experience with Fresh Service, whether using it internally or receiving support is outstanding." I can't find anything within Fresh Service that I dislike. The multiple channels that are provided to our customers via Fresh Service allows for clear and concise two way communication. Call avoidance has been recognized due to our clients using self service via our Solutions Knowledge base. Internal workflow within our organization has improved based on the features we've configured. "So far, I've been very happy with Freshservice." The application is easy to navigate and very feature rich. The support staff have been excellent. The performance has been very nice. It's easy to use and my support staff are liking it over the prior app we retired. The mobile app is great (though I wish it would do change control, not just ticketing). Really, the only issue is that there are a number of small functions missing that should be there. Things that will probably come out with time, but for now, I have had to work around. Certainly nothing show-stopping and if I had to do it all over again, I wouldn't change my decision. Also, the asset discovery tool (the Probe) definitely needs more maturity. It's OK, but doesn't pull as much info as, say Spiceworks' probe. Asset management, change control, change management, help desk support, problem tracking. "Wished I had discovered them sooner..."
FreshService has all of the features I've been looking for in an ITSM while still keeping the admin console simple and intuitive. I would like to see a more robust CMDB solution and with a good visual display of relationships.. With that said, most ITSMs aren't doing this either but is essential for planning and visualizing impact during a planned or unplanned outage. One of the things I most appreciate about FreshService is the ability to completely re-brand the ITSM. To our users, it appears like an in house service but with an Enterprise level experience. The mobile app is outstanding. The admin console is intuitive.. I truly wished I had wondered across FreshService much earlier. We're still building out our service model but we have all the tools we need to automate self-service for common issues. "FreshService at a hypergrowth company"
We're growing so quickly and onboarding so many new Sales Professionals every month that having direct contact with our IT team is important, as things will and do go wrong from time to time. Having direct access to our team and the tools/updates that help me in my day-to-day enable me to be as productive as possible. There is a learning curve to understand what we're capable of doing within FreshService, and the desktop application version of the app frequently has connectivity issues (although logging on through the web portal always seems to be easy for me). The problem is that without it we're left "blind" when we're having IT/Security issues - FreshService allows us to reach the proper parties and communication channels without me ever having to know if I'm reaching out to the right person or not, it handles that for me. I'm more productive because of it. "One 360-degree ITSM solution with great support"
We use Freshservice since 2015 as our internal ITSM solution for IT support, services-catalog, asset management, contract management, self service portal and reporting. Everything is combined in one unified solution. Freshservice is providing outstanding and very customer focused support. Freshservice is very flexible. There was nothing we couldn´t do with scripts and extenstions to fit our needs and to customize the product. The overall stability is very good, we had no! technical issue since 2015. Also one major requirement was to get a fully compliant cloud solution. To increase our internal end user happiness a professional translation of the product is very important. Freshservice is working on that now very focused. Do a pilot. Im pretty sure you will be convinced from the overall product and support quality. From the very beginning the company is interested that your pilot will be successfull for you and they will help you to achieve that. Creating an internal service catalog and using digital workflows and approval processes to deliver those services are a hughe improvement for agents and internal users. It helped alot to reduce the time solving problems and delivering IT services on both sides. It also changed the view on our internal IT department in a very professional way. "FreshService has brought great value to our Team"
I believe the top attribute of FreshService is it's simplicity and ease of use for Admins all the way down to those requesting service. I think there are some feature requests that have been stuck in the Development cycle for longer than need be. Some things just get rushed sometimes and that can be positive, but also negative at times. We took the approach of having an open mind and NOT trying to make it "like we wanted it". We went through the trial period with zero expectations and took time to see what we felt were their strengths and weaknesses and then matched up with ours and I feel like we were able to go LIVE with a great starting point. We continue to learn and evolve along with FreshService and we are able to do it seamlessly. Take advantage of the free Trial and kick the tires. You won't regret it! Our processes have come a long way and some of those that were always 'informal' have now been able to be formalized. It has allowed us to build upon what we are good at, and fix the areas where we had shortfalls. I like the fact that the Knowledge Base(KB) is easy to setup and use. It has helped our staff find answers to issues that have already been solved. This saves time for the support staff. You can also use the KB for support staff and have the KB article hidden from the general staff. This is a great feature. I also like the assignment of tickets to a group, so when a ticket is created it emails the people listed in that group. I really don't like that the program does not delete requesters but puts them in a blocked/spam folder. If I wanted to do that I could do it in my email. We should be able to delete users and or the email accounts tied to the requester. I don't like the asset tracking part of the program. It is very cumbersome and not very user-friendly. I had to put in a help ticket to Freshservice to fix a requester problem. If you have to add or Delete requesters this might not be the product that you want. It is easy to add a requester but deleting a requester or changing the email is a pain to get done. We have been able to get a well working Knowledge Base in place to help with Support. We are able to use Freshservice tickets to track where we need to train other staff members. We can use the reports to show one of our vendors where we are having the most issues with their product. "An intelligent solution for an evolving IT environment"
The simplicity and ease of use. We promote the use of our SelfService portal and over 40% of our work is generated in this way. It work like an email system, allowing you to easily see a "conversation" and interact with the customer with ease. Admin settings can be confusing at first, so I would recommend some additional training, support in this area to get the most out of the system. We are support approx 7000 customers and this tool enables us to support them more efficiently and effectively. A customer friendly tool is paramount to promoting self-help. Over 40% of our tickets are created in this way which saves everyone alot of time. In my small Helpdesk team, we can safely support high volumes of customers knowing that our system is reliable, simple and customisable in an instant. "Solid system for internal support"
Before FreshService, our requesters were unable to create tickets via email. This feature is available with FreshService, which is a great thing. The ease of use for setting up FreshService allowed me to set up the basic configuration rather quickly. FreshService allows us to create our own way of work quite well. Another great part is the quick and good support that we receive. After one and a half year, I can still confirm the same! There are no dislikes so far about Fresh Service. Great support from the entire FreshService team. Good communication, follow up on issues, follow up and information about feature requests or new features in general! We are using the system with multiple seperate departments such as IT, Infrastructure, SAP, HR and other internal support groups. It's possible to have a seperation between those departments. This means that I am the general administrator for each department when it comes to the configuration. Thanks to that, the other departments don't need to get technical with FreshService! Integrations, ticket managements, ease of use, extensive features, and so much more! No option to issue and print a work order for assigned tasks, where customers can sign upon completion of the task. Mobile application is very limited, doesn't show the complete contact profile with all the information, and would be great if customers could sign on the phone for completed tasks/work orders. Also, we've been using Freshdesk before we moved to Freshservice, and while we found it more intuitive, we believe that some features/integrations would be a great addition if they were available in freshservice as well and not only in freshdesk. We are servicing Point of Sale users by providing remote support to our customers. The helpdesk and the customer portal are both user friendly, and both us and our customers enjoying using it. "Very good and good looking ITSM SaaS software"
* Fast rollout: you can go live with Estate Plan in really 2 weeks. * Good implementation of ITIL framework. * Easy and intuitive interface for the users: this is the main stand out feature with competitors! We really want users to use this Service Desk tool with all the features, especially Service Catalog, and FreshService intuitive UI is what helped us achieving good usage with almost no users complaints. * Project management module is underdeveloped (only Estate plan): the module works but there are PM focused competitors that does the job way better, and it's really lacking features when we're talking about portfolio management (i.e: handling more projects). The devs should remove the feature or improve it. * Some features have low customization: asset management and categories, for example, doesn't have lot of customization options so if you may get stuck with them if your organization have particular needs. * Mobile app is below the web UI: I really like the web UI but not the mobile app, especially for agents usage. A central ITSM system has greatly benefit our company and the intuitive UI help the users with their requests. "One of the best ITSM Solutions available"
Clean interface. The ease in which I can get work done quickly. The Time sheet is also a plus and has a built-in timer. The timer continues even if I navigate away from the page so I can reuse the browser tab for something else while I work on the ticket (most solutions don't do this). The customer portal is a huge plus. I'm glad this is not a per-customer licensed service and instead is a per agent. This will ensure we can afford the service as we continue to grow. The support with Microsoft Flow is one of the primary reasons we chose Freshservice. We use Microsoft Flow to help us manage and automate our processes and having this integration was a priority. I didn't like the fact that the trial came with sample data that could not be easily removed. I spent about an hour deleting the sample data in the system before I could really start using it. It was a waste of an hour. I talked to support about it and they said that I would have to manually delete things. And not all data can be deleted. Some of it you can only "close" and it will remain in your system. There is a lot of bang for your buck. Be sure to spend time understanding the different service levels before you buy to be sure you are what you want. Don't spend extra on things you "Don't need now but might later" because you can also upgrade the solution. Save money. We needed an easy, cost-effective solution to manage inbound tickets and allow customers to submit their own tickets (we are an MSP). As a mobile-based business, we don't have a lot of time to manually manage and organize tickets so having a solution that can use rules, triggers, and automation to help us manage tickets, remind us of tickets that have not been touched in a while, and deal with prioritizing is what we needed. In addition, having the system send a survey after a ticket is closed was a bonus, something we could not do with our previous solution. "Freshservice - Makes ServiceNOW feel like ServiceLATE"
Fluidity of interface during use. The Freshservice product was clearly designed by people who have fun service desks. The simple, yet effective interface allows agents to quickly move through the support process without being hindered by the bean counting. Currently custom text fields placed in service items are not available as output in custom reporting. I understand why, there is no character limit on the custom text fields, therefore processing such a report would be insane. I have suggested a "Short Text" field that is available. Let your service desk try the product, it is the best I've seen in regards to usability. Freshservice replaced my old ticketing system. It is currently giving my service desk agents the ability to properly prioritize, and work off a list of tickets organized by SLA due date. Having the communication integrated with the support e-mail makes it easy to be responsive, and add that extra CSAT touch. The other HUGE benefit is that by default, CSAT scores from post ticket survey is tied to the ticket. This makes leveraging CSAT in reporting very easy. Very easy to get set up and running with. A clean and intuitive interface. A very streamlined approach to Change Management that has allowed us to be far more efficient and accountable. More customisation of the reports would be beneficial. If you have a large team that spans IT support, engineers, analysts and developers then Freshservice is a fantastic product. Likewise, if you have a large customer base the multiple channels of communication is great to ensure everyone has the opportunity to interact with you. Our change management process was ineffective and chaotic - Freshservice has provided a streamlined and fast approach that servers us well across multiple sites and groups. The helpdesk analysis reports allow us to effectively monitor incident management, identify problems and manage a large geographically disparate IT operation. * We monitor all Freshservice reviews to prevent fraudulent reviews and keep review quality high. We do not post reviews by company employees or direct competitors. Validated reviews require the user to submit a screenshot of the product containing their user ID, in order to verify a user is an actual user of the product. Hi there! Are you looking to implement a solution like Freshservice?